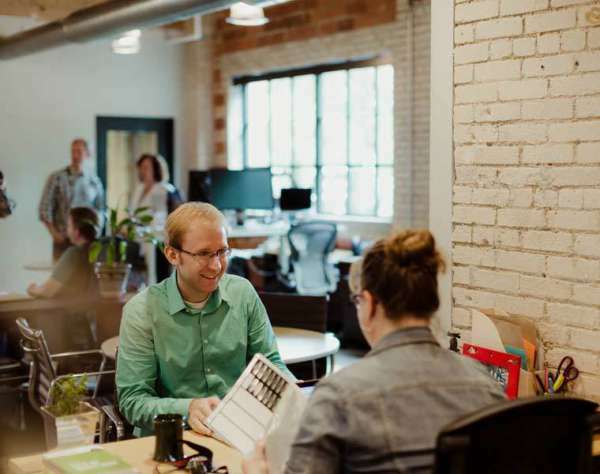 You'll find Atomic's Grand Rapids office (AOGR) in a 100-year-old building in the Uptown neighborhood. Free parking is available in a lot on the east side of the building, or in a lot on Diamond Street, behind The Meanwhile. Paid on-street parking is also available along Wealthy Street. Grand Rapidians love to give their time to groups that make our community stronger and more diverse. Atomic supports many of those groups with participation, funding, and meeting space. We work with clients across the country, including some right in the Grand Rapids area.